The original Artwall and Co's World map entirely handmade with wood. 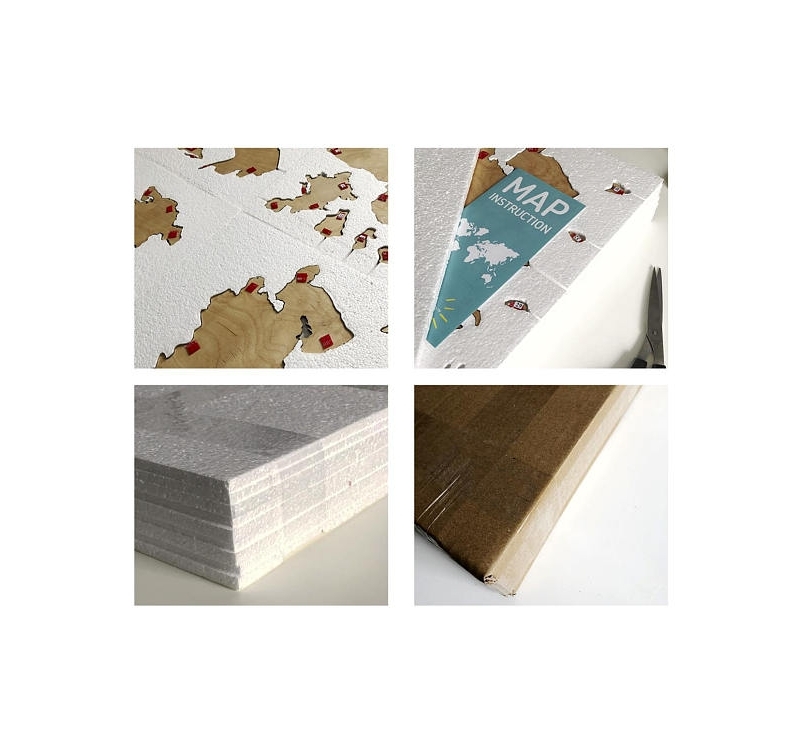 The full size of this wooden wall map is 100 x 60 cm with a thickness of 6mm. Each country is written in French on this design wall decoration. Delivery around the world for this wood decoration. 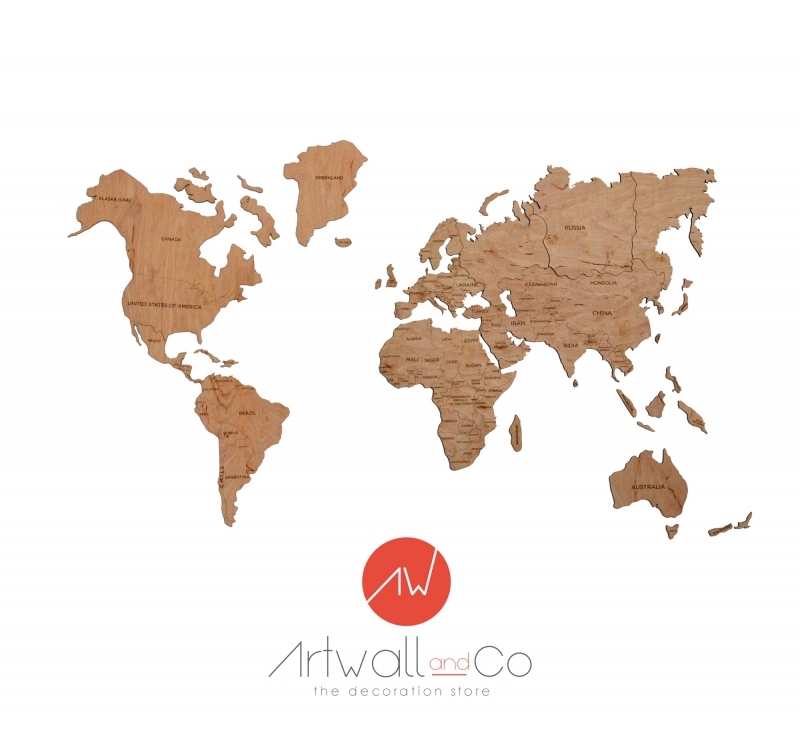 Discover our Artwall and Co world map made entirely of wood by our artists for your wall decoration. All countries are represented to give you an original and modern world map while keeping a natural look. Each country is delimited and its name is registered in French. This wooden world map is available in several colors on the Artwall and Co shop in the wood wall decoration category. The aspect of this map of the world is very smooth and will adapt very easily to your interior decoration thanks to a unique quality in birch plywood. For a simplified installation, each part of our wooden wall card contains adhesives on the back that will allow you to realize this world map. It is very easy to use and will not damage your walls. This is the ultimate gift for travel enthusiasts and designer wall decorators. Your wooden world map is delivered in several parts. Our instructions will allow you to install the different parts step by step. It takes about 1 hour to fully realize this map of the world with the family.